Stamping Through the Eyes of Karen: My new blog. Hi everyone, I'm new to this so be patient. I hope to achieve a stamping blog like so many other great stamping bogs out there. 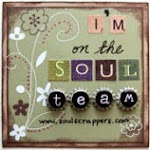 I love to create and hope to share some of my stamping projects with you. Stay tuned.